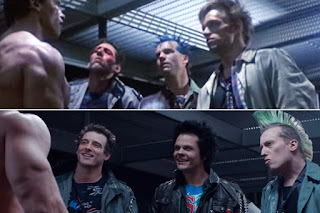 A callback continues the trend towards repetition and new beginnings in Hollywood film, in which the original (and its box office) must be repeated but with sufficient difference to justify itself and start a new series of sequels. The callback is less about directly repeating past plot points or elements, than slyly acknowledging their existence. These callbacks refer to the most memorable elements of the film, that which remains after everything else has been forgotten. These callbacks return us to our memories of the first film. If you remember anything about The Road Warrior (Mad Max 2 in the rest of the world) it is the truck chase, so Fury Road offers you the truck chase as a film. It also sprinkles in a few other elements, an shotgun that doesn't fire, a dwarf, and the car from the original. These callbacks are less attempts to recreate what worked in the original film than to acknowledge that is why we are watching a remake in the first place. 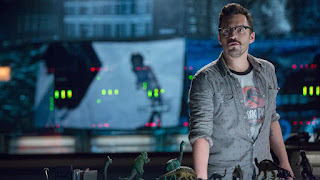 Jurassic World even goes so far as to include a souvenir T-shirt from the original film, err...park, in the film itself. Screening its own nostalgia for the original. 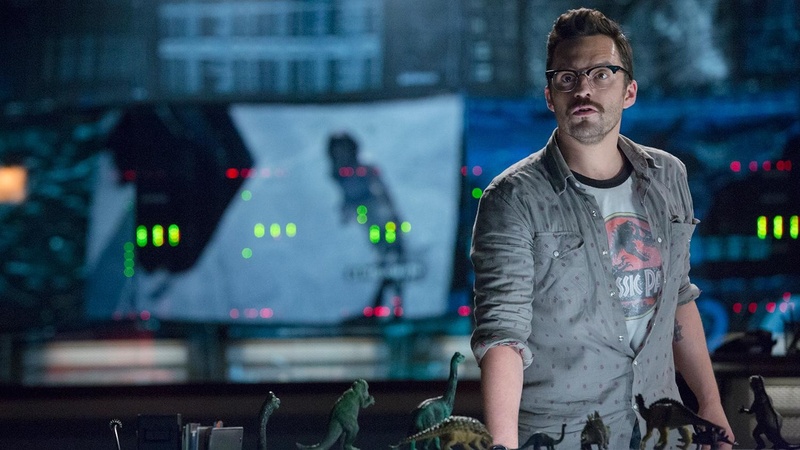 When the T-Rex from the original film shows up at the end, defeating the Indomnius Rex from the new film it is nothing other than the return of the repressed, the remake acknowledging that we all would rather be watching the original. Or, more to the point, we would rather be repeating the original experience of watching the original. We cannot do that, and for that reason the remake/reboot exists. To paraphrase Adorno, "It is not the original that we offered but evidence that it existed." Terminator Genysis is perhaps the best, or worst, example of this callback. It opens with a return to the original film, Kyle Reese and the T-101 traveling back in time. It repeats a few scenes shot for shot, the garbage truck driver, the nikes with velcro ankle strap, etc., but then immediately shifts the entire narrative making a film that is, improved effects notwithstanding, a pale copy of its original. Terminator Genysis could have reininvented the film for a new age, there are gestures towards the massive technological transformations of the last thirty years, of what terminators might look like, or be able to do in the age of social media, but these reinventions are secondary to the repetitions of the first film. Value must be extracted from the original, from the initial film, at all cost. Hollywood is about the tendency of the rate of pleasure to fall.